Almost two years ago, towards the end of 2015, I had wrapped up my first sport sociology course. I wrote an academic paper, Women Participation in Outdoor Recreation, and felt unbelievably empowered to change the world’s perspective on women in the outdoors through an elaborate blog post. Needless to say, there are a few issues with how women are perceived in wilderness recreation settings. I had some strong opinions and my goal was to do my due diligence in research by reading more journal articles, analyzing stats, and talking to outdoor leaders about their thoughts on the topic. My plan was to compile this information into a readable blog post to share with anyone who’s interested. I thought this was a fantastic idea and assumed everyone would be on board. Yes, I am a dreamer. Unfortunately, school course-loads and my lack of time got in the way and I wasn’t able to produce the blog post, but I had reached out to leaders who were able to provide insight on what they thought. To date, I pull up these emails and interview notes and read through them when I need some encouragement. I still can’t put the effort into an elaborate blog post (it’ll stay on the back-burner for now), but I thought to post snippets of the conversations I’ve had with others. These conversations are plain and simple, unedited, and not embellished. My first conversation was with Will Gadd (AWESOME guy). I wanted to consult Gadd after seeing him talk at the 2015 Vancouver International Mountain Film Festival. 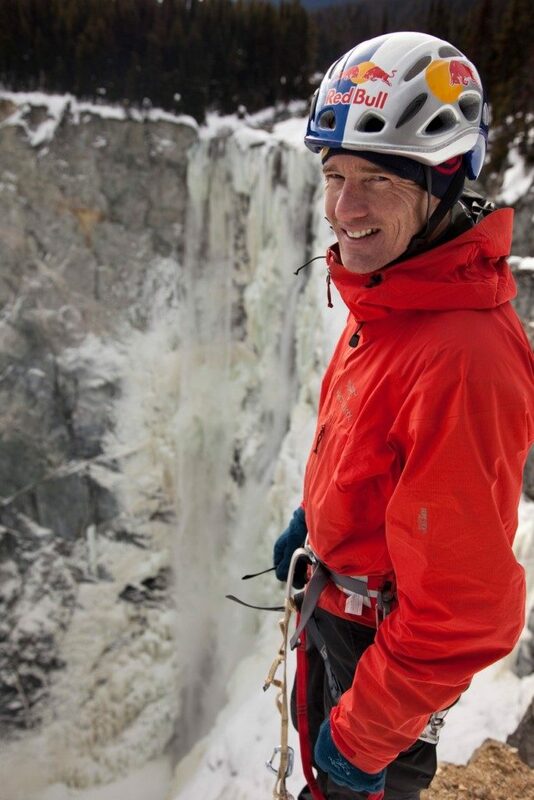 His stories of ice climbing Helmcken Falls and paragliding across the Rockies were more than inspiring, and I quickly found myself trusting what he had to say about his experiences. A handful of months down the road, my mind went back to Gadd when I thought to write about women in the outdoors; I was interested in his own thoughts and experiences with gender differences in the wild. Q: How long have you been involved in wilderness rec/outdoor activities? A: I started leading outdoor trips when I was 16, and have been at it ever since. Q: What are your thoughts on female participation since your earlier involvement in outdoor rec vs now? (What I’m looking for here is have you seen growth and why do you think that growth is occurring). A: All of the outdoor rec sports I do have grown massively, and even with that generally there are more women proportionally in those sports. More so in lower risk sports such as trail running, nordic skiing, few women still in paragliding, high-end paddling. I don’t know if these sports are experiencing growth as a percentage of our growing population or not, but in absolute numbers they are growth sports. Q: Why do you think women may be skeptical about outdoor/wilderness activities? A: Male dominated in general, perception as “male” sports? A: Go get good instruction from someone you’re not emotionally involved with. Boyfriends and partners often don’t make great instructors. When my partner wanted to learn paragliding I sent her to a good friend of mine, worked great. Go do what YOU are comfortable with, and will like. Make sure that if you are a guy going out with a woman in the outdoors that you both have the same goal—having fun, or a death march, or whatever it is, but get on the same page. Men think the world thinks like them, it’s how we are…. A: Yes, but co-ed groups have to be managed by both the instructor and the participants so that women get a fair shake in terms of instructor time and resources. Women often tend to retire, men tend to push forward. Therefore, men get more out of co-ed groups than women. We didn’t build much beyond this conversation about women in the outdoors, though Gadd gave me a lot to think about. What are your thoughts on female participation in wilderness recreation? Why is it that women have a lower participation rate in outdoor activities compared to men? Is there a perception in society that certain types of outdoor activities are more for men than women? Are gender-based stereotypes about how a female should look or act influencing what sports they choose to pursue? And what about the way women are portrayed in outdoor recreation media? Take a look at the ads in some of the popular outdoors magazines. Women are (more often than not) pictured sitting down and resting (or just holding the product in question); men are seen fully engaged in activity, be it climbing, riding, touring, etc. Are these images reinforcing the stereotype that women have limited and passive roles in wilderness recreation? That they are consumers rather than conquerors of the wild? As a male or female, how do you feel when you engage in co-ed instructional courses related to mountain sports? Do you notice a difference between genders? Or is there no obvious difference at all? Additionally, Will Gadd wrote an article, Mars & Venus, highlighting the differences between men and women in the outdoors, I highly recommend giving it a read.